For $2.99, get a real-time look at the night sky. SkySafari 4 identifies constellations, planets, comets, and more. All you have to do is hold your phone up to the sky. A database full of information will help you find constellations, moons, and planets. You can also access orbit mode to travel through space and explore over 120,000 objects. The app also gives you lots of information about what you're seeing. You don't need an internet connection to view the information once you've downloaded the app. Available for iOS and Android. 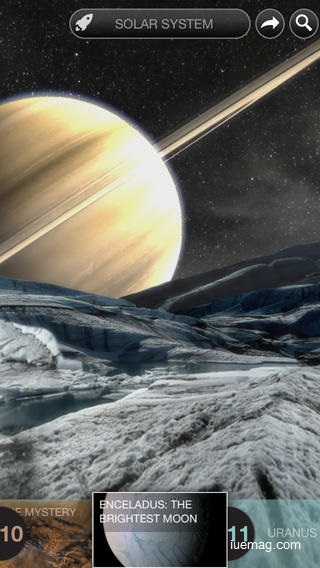 Your digital exploration into the known universe is not complete without NASA's app. NASA provides you with over 14,000 beautiful photos of objects in the universe, and over 10,000 video clips. Rate photos and videos, and store your favorites in the app so you can return to them whenever you're exploring on your smartphone. The iPhone 6S Plus's 5.5-inch Retina HD display is perfect for the best views from this app. And with T-Mobile's fast and reliable 4G LTE connection, you can watch live NASA TV or stream their Third Rock radio channel. You also get news and social media updates, so you can track the very latest NASA mission activity. 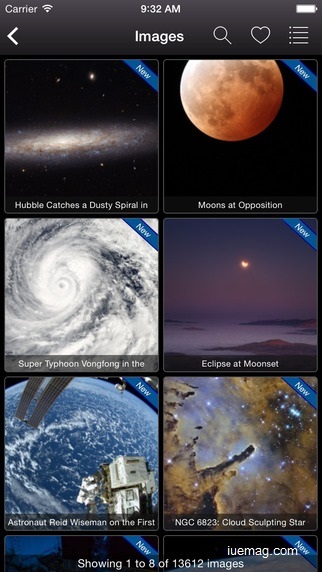 NASA's free app is available on iOS and Android. 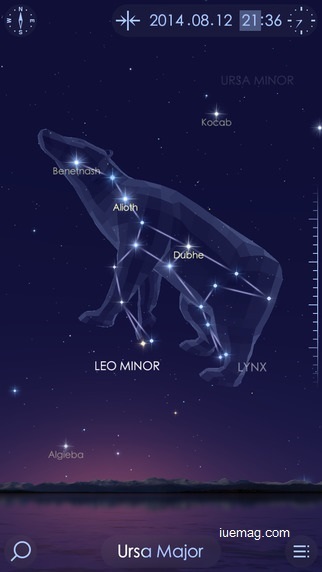 Star Walk 2 for iOS and Android is your guide to the constellations. The interface is bright and colorful, with 3D views of each constellation. The app tells you about each, including the myths and stories behind it. Check out how the sky looks from your point of view, or move around in space to view the stars from any other point of view. You can also see what the sky will look like later in the year, and get 3D models of dwarf planets, nebulae, and more. The app is $2.99 and offers in-app purchases. Get information about our nearest celestial neighbor on the Deluxe Moon Pro iPhone app. Get a calendar of the moon phases, learn the dates of the next solar and lunar eclipses, and discover gardening advice based on the moon's current phase. You can get moonrise and moonset times, learn about the moon's age, and discover how much of the moon is illuminated at any given time. The app is $2.99, and is available in over 20 languages. Join British physicist and professor Brian Cox on a tour of the universe. For $1.99 on iOS, explore objects near and far, through the Milky Way, and to the beginnings of the universe. Professor Cox has written over 200 articles which tie in with features you'll see in the app's view of the universe, explaining what you're looking at and offering mind-boggling insight. Change your view by changing the scale on the app, check out sub-atomic particles, or look at 3D models of planets and nebulae. Also enjoy 2.5 hours of BBC content from their Wonders TV series. The Pocket Universe app is available for $2.99 on iOS. Not only can you identify what you're seeing in the sky and explore distant objects with the touch of a finger, Pocket Universe also offers quizzes, lunar phases, and news about the most exciting objects in the sky each night. The app links you to Wikipedia so you can continue your learning journey. Plus, you can take a virtual tour of the surface of the moon and other planets. Every app on this list encourages you to get outside and view the night sky with your eyes. Then, use the apps to learn more about what you're seeing, and to magnify and expand your views. Plus, if you're traveling with your T-mobile iPhone and using these apps, you can feel confident that you won't have an outrageous phone bill at the end of trip. T-mobile offers special deals for travelers, like no roaming charges. Any facts, figures or references stated here are made by the author & don't reflect the endorsement of iU at all times unless otherwise drafted by official staff at iU. This article was first published here on 2nd March 2016. Todd Green is a contributing writer at Inspiration Unlimited eMagazine.